FILE: Key congressional races in Southern California will be closely watched as the Democrats seek to take control of the U.S. House from the Republicans. Southern California is home to a half-dozen congressional districts where the fate of Republican seats could help decide which of the two major parties wins control of the U.S. House. Nearly all of the districts are in Orange County, the once staunchly conservative region undergoing demographic changes that are nudging the county more to the left. In 2016, for the first time in 80 years, Orange County favored a Democrat for president. Two incumbent GOP congressmen — Darrell Issa and Ed Royce — announced earlier this year that they were stepping down from office. Their decision opened up the field to a rush of congressional hopefuls from both parties. The challenge for the Democratic Party as it seeks to take over the GOP seats is the large number of liberal candidates on the ballot. Because they have not winnowed their own ranks, the Democrats could split their votes among several candidates, ushering in two Republicans to the general election in some districts. The Republicans have their own burden: the Trump administration and its controversial policies in deep blue California require the GOP incumbents to defend not only their own record but that of the unpredictable president. Federal issues like immigration, tax reform, and healthcare have some voters mobilizing for a change. 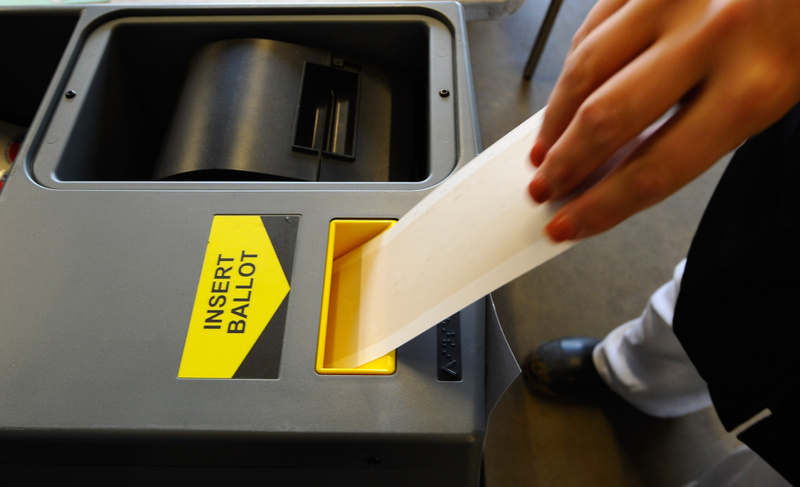 Mid-term elections, however, are notoriously low-turnout events in Southern California. So it remains to be seen how the efforts by both the Democrats and Republicans to rally their supporters will play out. Under the state’s primary system, the top two voter-getters in each district, regardless of party affiliation, move on to the general election. Even if a candidate wins a majority of the vote in the primary, a general election runoff is still held. A Chapman University survey released in April 2018 found housing affordability and homelessness topped the list of issues most on the minds of Orange County residents. OC is also the epicenter for growing opposition against the state’s sanctuary laws that limit local law enforcement cooperation with federal immigration agents. Here’s a quick guide to the SoCal congressional races that many will be watching. • 25th Congressional District: Republican incumbent Steve Knight is seeking reelection. His conservative views have galvanized liberal protesters who have been dogging him since he was reelected in 2016 with 53.1 percent of the vote. His major challenger back then, Democrat Bryan Caforio, captured 46.9 percent of the ballots and is running against Knight again. Caforio is joined on the primary ballot by Democrats Katie Hill, Mary Pallant, and Jess Phoenix. The 25th district sits in both Los Angeles County and Ventura County. It covers Santa Clarita, Simi Valley, Palmdale and Lancaster, among other communities. It’s one of the most Republican districts in Southern California, but it is changing along with the rest of the region. Democrat Hillary Clinton took this district 50.3 percent to Republican Donald Trump’s 43.6 percent in 2016. To check out candidates in this race, go to our Voter's Edge voter’s guide. • 39th Congressional District: The district stretches from Diamond Bar to Yorba Linda, taking in Rowland Heights, La Habra and Buena Park. GOP Congressman Ed Royce of Fullerton won’t seek reelection. He won in 2016 with 58 percent of the vote but this is a politically shifting district: Clinton captured it in the presidential race with 51.5 percent of the vote. 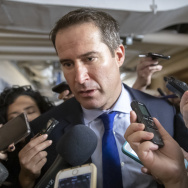 Given the open seat, a crowded field of 17 candidates are running in the primary, including six Democrats and seven Republicans. The challenge for voters will be sifting through these candidates and landing on the one who aligns with their viewpoints. You can start here by finding the candidates’ biographies, positions on issues, endorsements and news coverage in our voter guide. • 45th Congressional District: GOP incumbent Mimi Walters of Irvine is seeking to keep her seat. The district covers Anaheim Hills to Mission Viejo and encompasses Irvine, Tustin, Lake Forest and Rancho Santa Margarita. Four Democrats are challenging Walters, who is the only Republican on the ballot. Her district sided with Clinton in 2016 by a margin of 49.8 percent to Trump’s 44.4 percent. Walters votes with Trump almost without fail, according to FiveThirtyEight, and is among the Republicans targeted by the Democrats seeking to retake the House. She still has an incumbent’s advantage, however, having won reelection in 2016 with 58.6 percent of the vote, and with campaign cash on hand as of the end of March totaling nearly $1.7 million. Walters’ top three Democratic challengers based on fundraising are technology entrepreneur Brian Forde; David Min, a law professor at University of California, Irvine; and Katherine Porter, also a UC Irvine law professor. For information on the candidates in this race, check out our voter guide. • 48th Congressional District: Republican Dana Rohrabacher of Costa Mesa is seeking reelection. His district is also in the crosshairs of Democrats, who believe he’s vulnerable following recent coverage of his ties and support for Russia. The 48th stretches from Seal Beach to Laguna Niguel, taking in communities that include Huntington Beach, Newport Beach, Costa Mesa, and Aliso Viejo. Although, Clinton won the district by margin of 47.9 percent to Trump’s 46.2 percent in 2016, Rohrabacher was reelected with a strong 16 point margin. Rohrabacher’s challengers include his once-time GOP supporter, Scott Baugh, a former Orange County GOP chairman. Because both are well known in the district, it’s possible two Republicans will advance to the general election. Five Democrats, however, remain on the primary ballot. Among them: businessman Harley Rouda who reported over $1 million in campaign cash on hand at the end of March, outpacing Rohrabacher who reported over $900,000 in cash. To find out about the candidates, their positions on issues, and endorsements, check out our voter guide. • 49th Congressional District: Republican Darrell Issa of Vista decided not to seek reelection, setting up a crowded field of 16 candidates seeking the open seat. The district stretches across two counties, the southern part of Orange County and the western edge of San Diego County. It takes in Dana Point to Solana Beach as well as San Clemente, Oceanside and Carlsbad. Signs that the congressman’s district could go blue came in 2016, when Clinton took the district 50.7 percent to Trump’s 43.2 percent. Issa squeaked to victory with 50.3 percent of the vote, while Democrat Doug Applegate drew 49.7 percent of the ballots cast. Applegate is again running for the seat along with three other Democrats. Among the eight Republicans in the race is California Assemblyman Rocky Chavez and San Diego County Supervisor Kristin Gaspar. You can read more on the candidates in our voter guide.